Those of you who have kids probably know how they like to play in water. Of course they also like to spend their time outdoors. 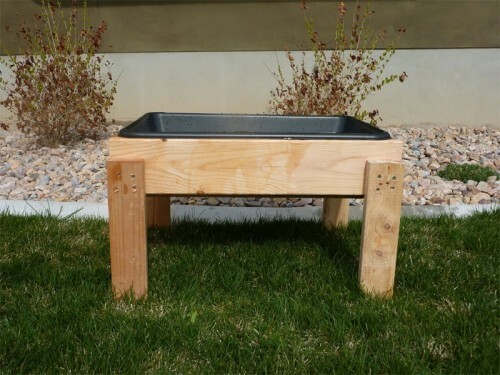 You can make a cool water table that would definitely make them happy. Of course there are solutions that you can buy but DIY water table is cheaper and it can match your terrace’s or patio’s design. During the winter you can bring such table inside and place it in your basement. 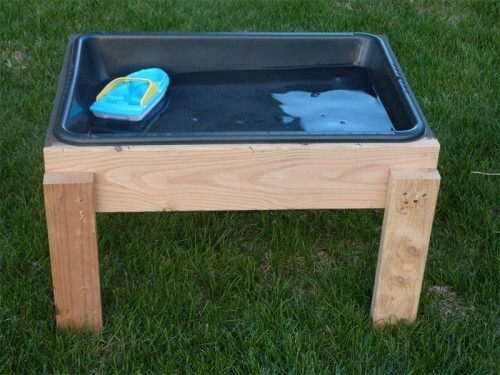 The water table can be made of wood scraps and some plastic tub. For example this can be a cement mixing tub from a local DIY store. Besides you’ll need several screws, sand paper, outdoor paint, a drill and a saw. For more photos of the process visit Inspiration Thief.